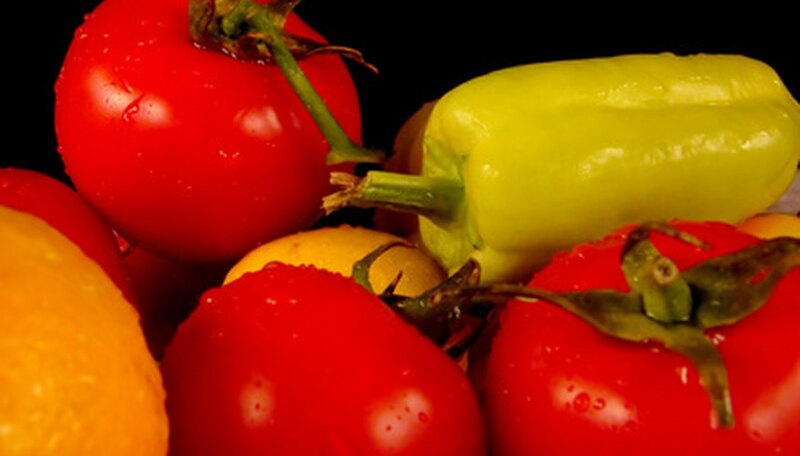 Walls of water are growing aids used in the production of garden-variety tomatoes and peppers. "Wall o' Water" is a brand name and, although the company is now out of business, the concept is still in use by many gardeners. Featuring cylindrical plastic tubes that house water, these structures can provide insulation from the damaging frost that is characteristic of cooler climates, allowing for earlier planting times, and also serve as drip irrigation systems. The water-filled walls collect heat from the sun during the day, then disperse it to the plants throughout the night. Walls of water are invaluable tools to gardeners who need to extend the growing season. Wash eight 2-liter plastic bottles. Make sure that all bottles are made from clear or green plastic. Remove all labels to ensure that the maximum amount of surface area will be exposed to sunlight. Place one of the bottles upright on a flat surface. Place the remaining seven bottles upright in a circle around the first bottle, forming a tight ring around it. Both sides of each bottle should be touching the the bottles next to it. Eliminate any gaps by moving them closer together. Tape the ring of plastic bottles together using strips of duct tape. Place the tape about halfway up the sides of the bottles. The tape does not have to be even, but make sure that the bottles are tightly secured together without any gaps. You may need to un-tape sections that need to be adjusted. Tug gently at the top of the bottle in the center of the ring until it slides free. Use a screwdriver to punch a small hole in the bottom of each bottle. The hole should be located near the inside of the circle. These holes will allow water to drain slowly, to provide water for the plant. Place the ring upright around your plant. Be sure the plant is evenly centered inside the ring so none of its leaves are touching the walls. Fill each bottle completely full of water using a watering can or garden hose. Screw the caps on securely. Check your wall of water daily and refill the water levels as they drain out. As your plant grows, you may add bottles to the ring to allow your plant the room it needs to develop further.